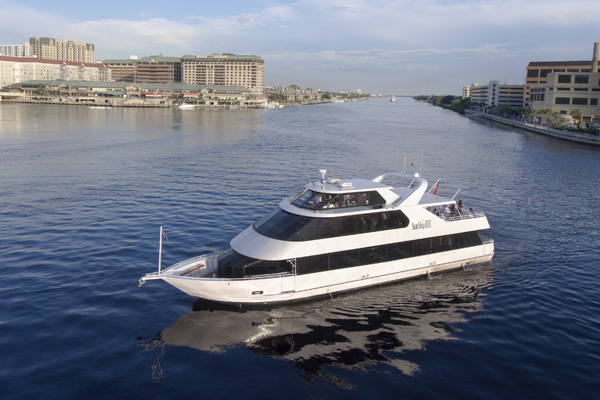 Create a sea of memories aboard Florida’s largest fleet of wedding yachts! 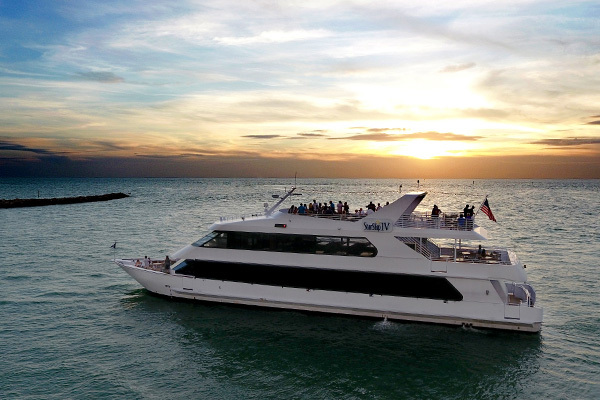 Our fleet of vessels offers the perfect blend of breathtaking views, freshly prepared cuisine and great entertainment for wedding events of up to 600 guests. 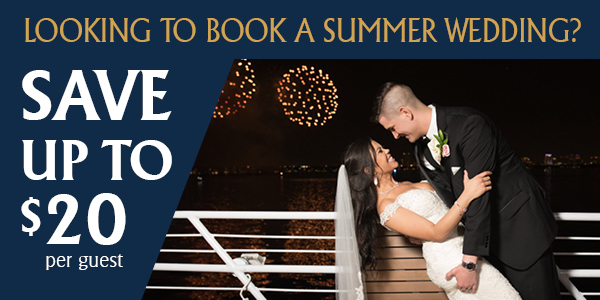 Customize your themes, decor and other options to create your perfect wedding day ceremony or reception and discover why Yacht StarShip’s fleet of luxury yachts is Florida’s most popular wedding venue on the water. Click below to contact us for a free consultation and to schedule your site visit today! Our Wedding day was one to remember, not only for my husband and I, but for our guests as well. YachStarship’s crew assisted us with things we never even thought of (they mailed our wedding license! ); neither myself nor my husband had to worry about anything the day of the wedding, 100% enjoyed! Our guests left wishing to go again! Beginning with our first meeting with you last August and culminating with the wedding itself, our expectations were not only met but exceeded in every possible area. Our wedding coordinator, Chris Dorroh, is a true professional in every sense of the word. She is knowledgeable, meticulous and caring. She did everything in her capabilities to make the planning, ceremony and reception a complete success. Not one time were we ever told – “We won’t be able to do that”. I cannot tell you how many of our guests have commented to us that this was probably the most fun wedding they have ever attended. Everyone was extremely impressed with not only that yacht itself, but also the professionalism of the Captain and crew. Everyone was mentioned to me by one person or another including Chris, the Captain, bartenders, servers, ship’s crew, boarding agents, DJ and photographers just to name a few. My wife and I would like to thank all of you for all that you did to make this wedding an event that we all will treasure for the rest of our lives. Our wedding was Amazing! Chris Dorroh and Ali did an amazing job. Exceeded all expectations. I cannot stress enough how friendly and amazing the staff is. From the planner and management to the serves and DJ, everything was PERFECT! I had the most magical night of my life. I think it really made it even more special because they were so dedicated to making my vision come to life. Dan and I want to thank you so very much for an absolutely incredible day! I feel that I am going to run out of adjectives when describing how perfect everything was! From our first meeting with Laura, to the moment we had to leave the boat after our wedding cruise, every detail was perfect. Christine and Jenny are absolutely amazing, you made our day spectacular and worry-free – and I mean WORRY FREE! The way Chris and Laura guided us through the planning process was expert and exciting, you made the process fun and made sure we didn’t forget the slightest detail. The fact that you were always available any time we had a question was so appreciated. The Wedding was an experience we (and our guests) will never forget. Our guests could not stop talking about the excellence of the crew, the yacht, the food, the music, and the overall experience! 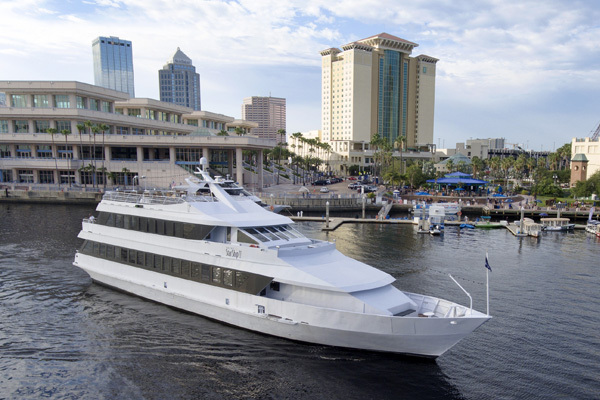 We would tell anybody who is trying to decide on a venue for their wedding to absolutely go with Yacht StarShip! What a beautiful, beautiful day! We just cannot thank you and the entire crew enough! The rehearsal dinner was perfection at every level. The room was beautifully decorated by Eric, it truly took my breath away. Being in the Pilot room was amazing and the wait staff couldn’t have been more attentive. The food was delicious. Most importantly-everyone had a great time. I really want to thank you for your attentiveness from the very beginning. It’s not easy planning an event in a city that you’re not very familiar with from so far away, but you were amazing. This was such an important event for me and my family and I can understate how well cared for I felt. The wedding was beautiful, the staff was fantastic, Chris was a true professional and the food was wonderful. I can’t thank you enough for all your help and for Chris’s help in planning this event for our daughter. We had so many compliments on EVERYTHING and hopefully you will get a couple more weddings out of this. It couldn’t have been more perfect. A heartfelt thanks to you and everyone aboard the Starship II. Planning a wedding from Texas to Florida was “smooth sailing”. We could not have chosen a better venue. The ENTIRE process was a success due to the professional, helpful, knowledgeable service we were given! Our wedding was more than we ever thought it would be. The food was wonderful & tasty. Our friends & family continue to talk about our wedding and how awesome it was! We HIGHLY recommend Yacht StarShip. We will forever hold this venue in high regard for helping us enjoy and have the greatest evening ever! We want to thank you and your company for a wonderful reception. It was absolutely what we wanted and flawless. Thanks again for all your help. You were awesome to work with as well as your company. Our wedding on the Yacht Starship IV was everything we ever wanted and more for our big day! 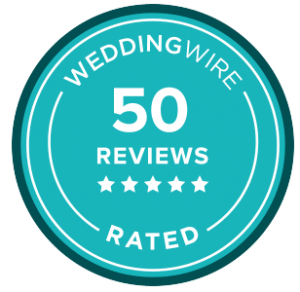 From working with Lydia to book our date and wedding package, to then working with Chris for all of our wedding preparations and wedding day timeline, they made our entire experience run smoothly. As far as our actual wedding ceremony and reception, Chris was amazing! She was there every step of the way ensuring that everything went off without a hitch. 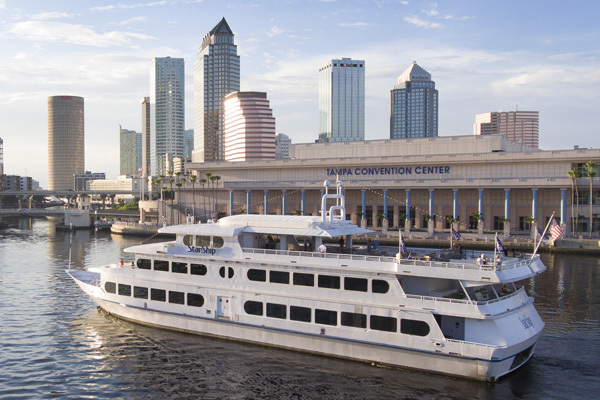 The food, the music and the atmosphere on the yacht are like no other! We couldn’t have selected a better venue for our wedding. Thank you Yacht Starship! Everything was Amazing, the staff was great and the DJ was awesome. My family had an awesome experience. For most of them this was the first time they had been on the water in this capacity, but the experience was so great they want to do it again. I would definitely do this again. A yacht is the perfect venue for an unforgettable wedding and the StarShip staff is the perfect crew. They are very attentive and they don’t miss a beat. They are detail-oriented and care about pleasing the bride and groom. Would book them again in a heartbeat! I just got married to my wonderful husband on 08/18/18, on the Starship IV. From start to finish the wedding went absolutely wonderful. I initially booked with wedding sales manager Lydia S. Who was wonderful. I was then assigned a great coordinator by the name of Amanda who assisted me with all my needs. All of the staff were very courteous and accommodating. My guests were well taken care of at all times. I had nothing but great reviews from all of my guests. I am definitely satisfied with everything. The wedding was great and the rehearsal dinner on the yacht was INCREDIBLE!!! Everyone is ranting and raving about how amazing it was! From the food to the staff, DJ and bartending service, everything was incredible! It was an amazing experience from beginning to end. You guys are truly the best example of premier world class customer service and attention to all the small details that made our day so special. 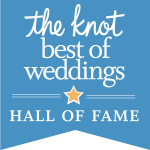 From the ultra attentive wait staff, to the accommodations made last minute for music requests and other details, Amanda and her staff really went above and beyond and I am happy to recommend you all for any and all future celebrations! Thanks again for making our day magical and special. All of our friends and family members were so pleased with everything – and they had A LOT of fun, which was our goal. The food was great, service fantastic, and the entire celebration went off without a single issue. Loved it and love you all! The Yacht Starship was amazing. Everything went perfect. Special shout out to our wedding coordinator, Cassie. Everyone complimented us on the food, drinks, and venue. Yacht StarShip was absolutely amazing!!! Great views and service! Food was awesome! Guest still talking about it!